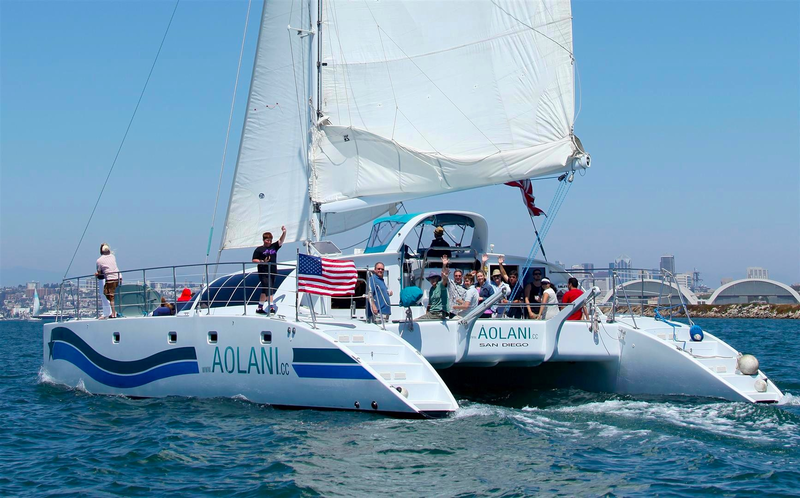 Rent Aolani Catamaran Sailing | Corporate Events | Wedding Locations, Event Spaces and Party Venues. San Diego’s first private yacht charter company. We are Coast Guard certified to sail with up to 48 passengers, including open ocean. What better way to spend time with colleagues on a company cruise, San Diego in the background, on the water as your playground. It is an executive’s ideal retreat. • We are a unique venue available for up to 48 guests.